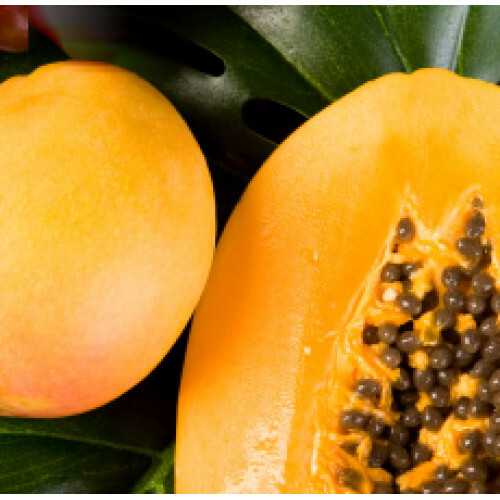 Juicy mango meets sweet, succulent papaya. Top notes of mango, citrus and pineapple. Heart notes of peach, papaya and classic jasmine. Powder, musk and coconut at the base.